Russell Easterbrooks, resident of Stuart, VA, a watercolor artist, has just completed a new portrait of Maj. J. E. B. Stuart. 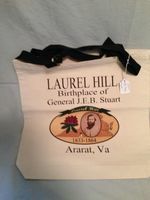 The T-Shirt sells for $15 each, with all proceeds going to support Laurel Hill. Prints are also be available too. Russell sells original art matted and framed. Russell writes articles about the National Football League, for the Football Nation Web site (www.footballnation.com). Further, he is an investigator/researcher for Sasquatch Watch of Virginia. He previously worked for the N.C. Forest Service, Vermont State Parks, and as a personnel fitness trainer. He also had a try-out to play pro-football with the New England Patriots in 1980. His interests are primarily U.S. History, Bigfoot, and pro football. 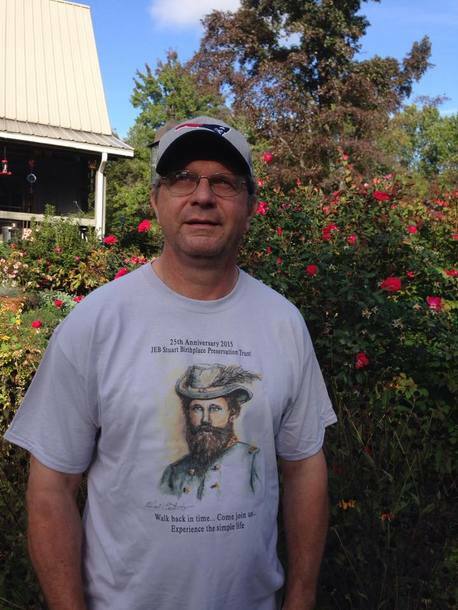 The JEB Stuart Preservation Trust is happy to introduce Russell to the public on the first day of the 2015 Civil War Reenactment and Living History.